Offsoon Mark III Fiber End-face Cleaner integrated fiber end-face cleaner is the latest fiber cleaner developed by Dimension Technology. The remarkable improvement is the high efficiency to clean female ceramic connector. 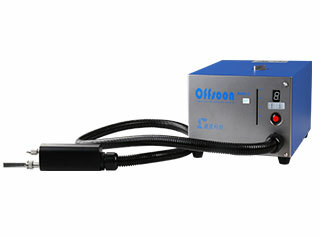 Offsoon Mark III cleaner ensures the low Insertion Loss and high Reflection Loss for fiber coupling. Offsoon Mark III is capable to Automation development. It can be easily integrated to Auto Feeding, Auto Cleaning, Auto Inspection systems for high efficiency and low work loading. With the open interface and protocol, Offsoon Mark III can be easily integrated to Auto Feeding, Auto Cleaning, Auto Inspection systems. The internal protection mechanism ensures the safe and reliable operation. The visible air pressure gauge and convenient air pressure tuning unit help user to monitor and adjust the air pressure.